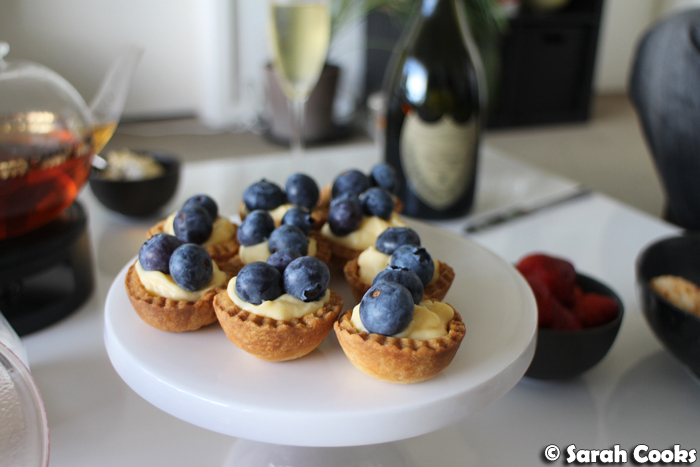 When I hosted my Father's Day Afternoon Tea, I was most proud of the mini blueberry tarts I made. I chose these because I wanted to add something with fresh fruit to the carbolicious scones and sandwiches. 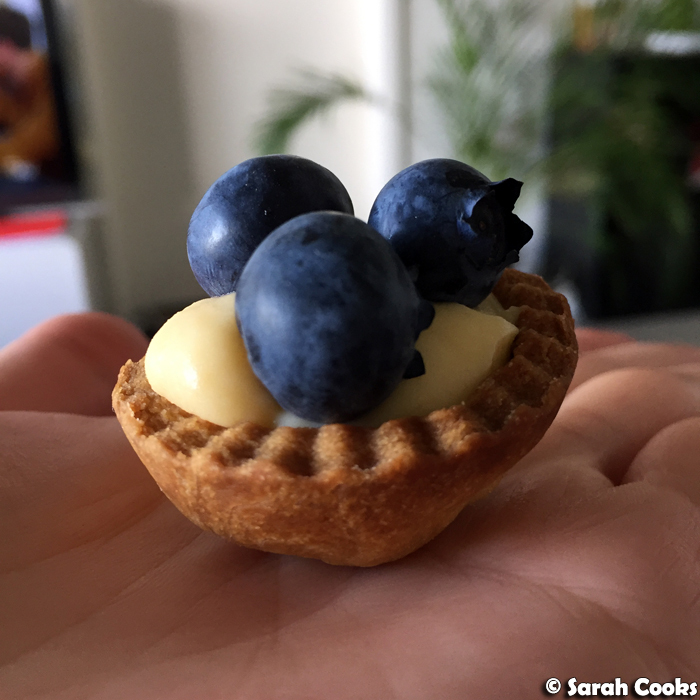 I had some rich shortcrust pastry in the freezer, and thought a plain vanilla custard with fresh blueberries would make a lovely filling. The process was a little fiddly, but the results were so surprisingly delicious that I just had to share the recipe with you! 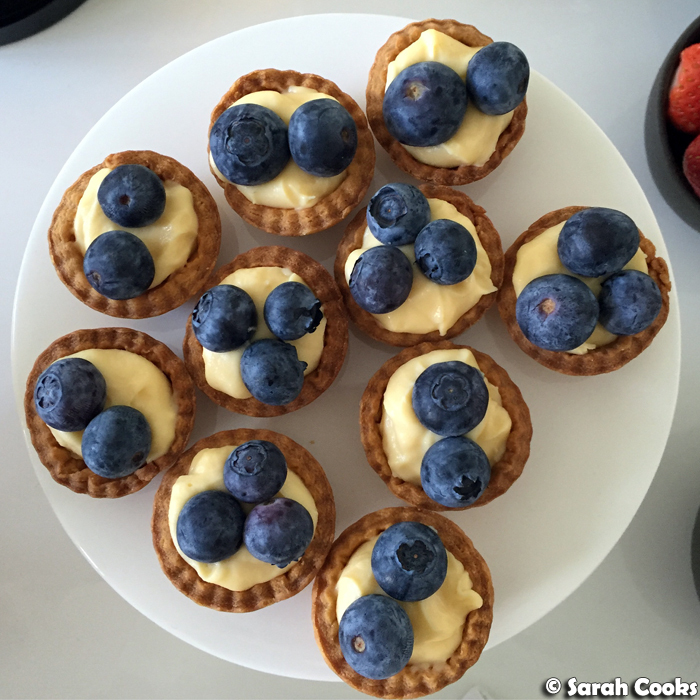 These mini tarts have the perfect ratio of crisp buttery pastry to creamy custard to fresh juicy berries. I hope you enjoy them! I found that the handle of my juicer was the perfect size to easy the pastry into the cases. But you could always just use your fingers. Here are the blind-baked pastry cases. And finally, here are the completed tarts! I loved how tiny and delicate they were - I could barely fit two or three blueberries on each one. 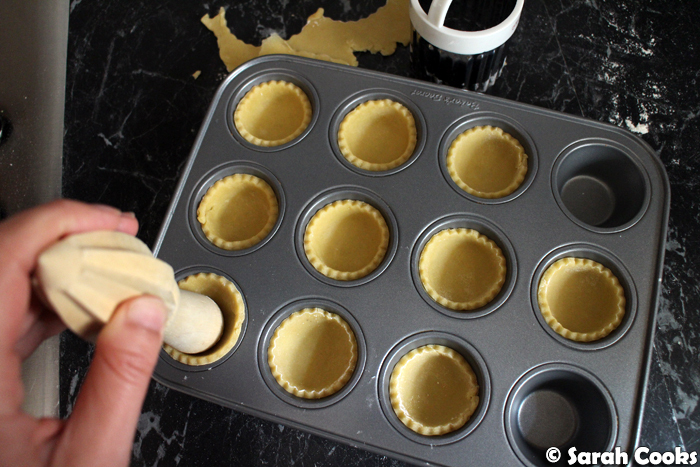 If it makes it easier, you can always split up the process by making the pastry in advance, blind baking the tart shells the day before and keeping them in an airtight container, and / or doing the custard the day before. Just arrange it to suit your schedule! The main thing to note is that they're best assembled at the last minute. (Although having said that, we had a couple of leftover tarts that we kept in the fridge, and they were still nice the next day). Place the flour and butter cubes in a mixing bowl, and rub the butter into the flour with your fingertips until the butter is evenly distributed and the mixture resembles damp sand. 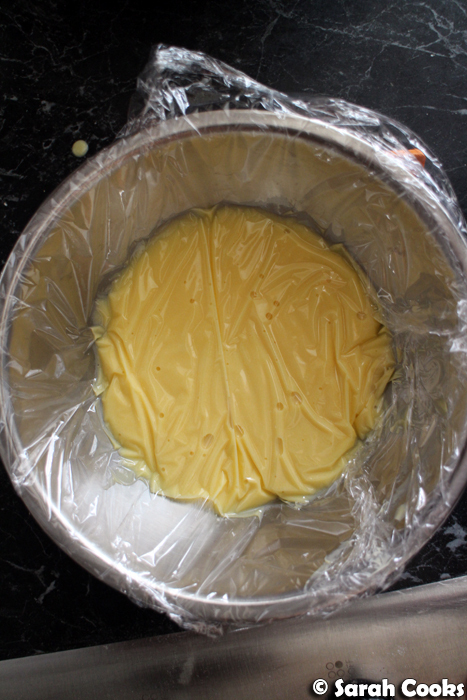 Add the egg-yolk mixture and mix to combine. (With your hands or a wooden spoon). Roll the pastry out thinly, just under half a centimetre thick. 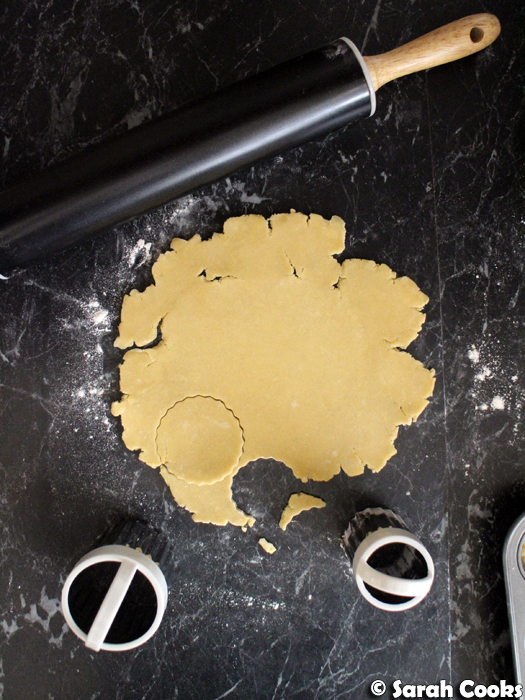 Cut circles from the pastry using a floured 5-cm round cutter. Line a mini muffin tray with the pastry circles, gently pressing the pastry to fit. 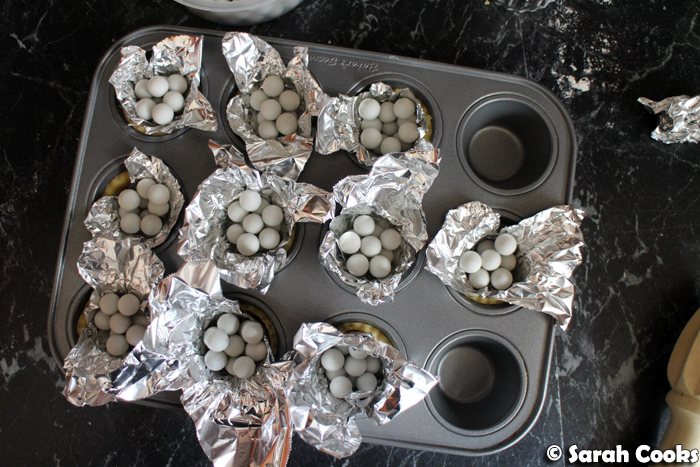 Line with foil or greaseproof paper, and fill with baking weights (or rice, lentils or other pulses). Bake for 5 minutes. Remove the foil and baking weights. Place the tarts back in the oven and bake for another 5 minutes, or until lightly golden and cooked through. If the pastry has puffed up, gently press it down with the back of a spoon. 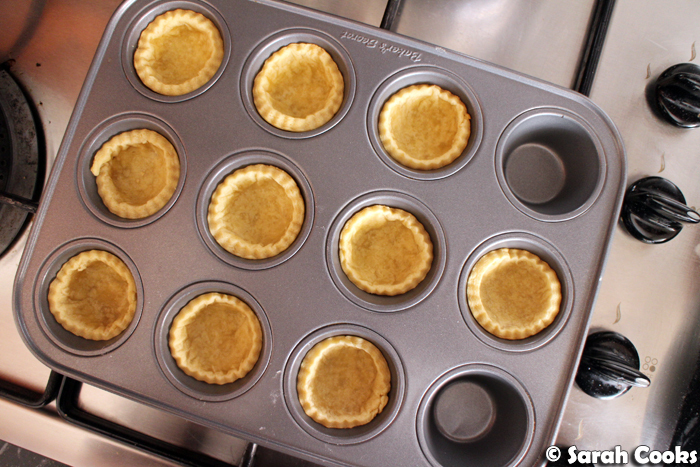 Allow to cool slightly, then remove the cooked pastry cases to a cooling rack to cool completely. Heat the cream over a low heat until it just comes to the boil. Remove from the heat. Whisk together the sugar, cream and vanilla extract. 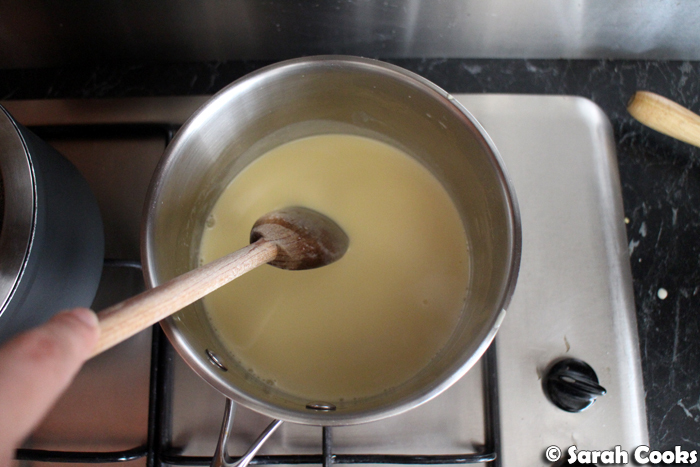 Add a large spoonful of the warm cream to the egg-and-sugar mixture, and whisk to combine. Pour this mixture back into the saucepan and whisk to combine. Place over a low heat, and stir constantly with a wooden spoon or heatproof spatula until thickened. Remove from the heat, and pour into a bowl. Cover closely with clingwrap and place into the fridge to cool completely. (At least an hour or overnight). Spoon or pipe the filling into the baked pastry cases. Top with blueberries and serve.